Hay! here is the list of best Gaming Laptops available in India. Laptops here, are high-end and of good brands too! so you don’t have to be worried about brands. Acer Predator 15- This laptop is most expensive in this list but there are more expensive laptops compare to this one, this laptop is for high-end gaming and we know extreme laptops like this heats up a lot, but this Acer predator 15 will not do so and remain cool thanks to the Injection of Cooler Master cold to keep heat down and increase performance. It has Frost Core for intense gaming sessions. It speaks with Predator SoundPound 2.1which boasts two speakers, a powerful subwoofer and Dolby Audio for deep sound immersion. Intel Core i7 processor which is obviously great for gaming! powers it, with a High end GPU by NVIDIA GeForce GTX 1070. So gaming will be like fluid with no FPS lags at all. It has a large 15 inch screen with resolution upto 4k. Its weight- As its a gaming laptop it should weight a bit high but it weighs more 3.7 kgs even compare to its competitors, So we think because of its weight it shouldn’t be called a laptop because nobody will keep that heavy laptop on their Lap for gaming, You can say its a compact Desktop. Final Words- If you can afford one and you are fine with the weight of this laptop than it would be a nice choice because obviously its gaming is great with very less heating. Lenovo Legion Y520- The slimmest, lightest, portable gaming laptop by Lenovo also it is not that expensive compare to other gaming laptops it weighs like normal 15 inch laptop. It is powered by Intel core i7 7th Gen processor and NVIDIA GTX 1050 Ti graphics, card, so after seeing this we can say there will no lag at all with high-end gaming. It features Harman Audio with Dolby Premium, you can play with it day and night thanks to its backlit keyboard. With this laptop, extensive gaming will not be a problem as it has a Thermal engineered cooling which let it remain cool for as long as you wanna play. No Disk Drive- This Gaming laptop doesn’t have a disk drive, you can not use disk to install games, the only reason we thing Lenovo cut the Disk drive to make it lighter, they kinda went wrong because Disk is sort of important for atleast gaming laptops. If you like a good gaming laptop with light weight than its a good option but remember it does not have No Disk Drive, so you might have difficulties installing games and other files offline. HP Omen 15- Omen series by HP gives great performance in gaming and other heavy tasks, and this Omen 15 by HP has Omens’s First overclockable system. It has An integrated vapor chamber and four 3.5mm heat pipes which helps to transfer heat away from the GPU and CPU and it let you push hardware beyond factory settings. It has awesome graphics by NVIDIA GeForce GTX 1080, so this laptop can reflect you a power of super computers! It is power by the Powerful Intel Core i7 CPU so it is obvious that overall performance of this laptop will be great. It has super cut looks which even helps in cooling the device with two big cooling fans. Omen’s 15 Audio is Powered by Bang & Olufsen and HP Audio Boost. It has Mechical Keyboard with RGB LED backlit keys (Customizable ) so using it at night is not a problem. Know more with HP. It is a nice gaming laptop by HP’s powerful series ‘Omen’ , it got nice features too, a nice keyboard . So I would say if you can afford it go for it. 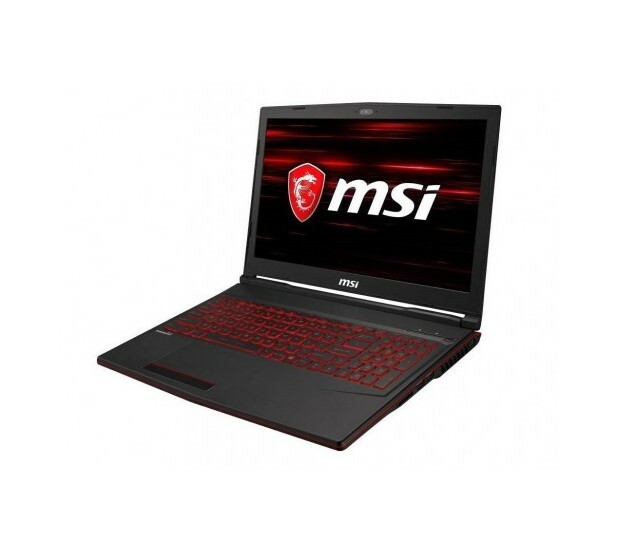 MSI GL Series GL638RC- This is the cheapest gaming laptop in this list with quite nice features, it is Powered by the Intel 8th-generation Core i5 processor with 8 GB RAM and NVIDIA GeForce GTX 1050 GPU. This GL Series Laptop has the Cooler Boost 5 which drives heat out of the system, This device has a Gaming Mode to free up memory for the best and optimized gaming experience. It has a Especially crafted Keyboard for professional gamers designed by SteelSeries and comes with pure color backlighting so you can use it even when there is no light. It has a nice audio system to take your audio experience to the next level. No CD Drive- This Gaming laptop doesn’t have a disk drive, you can not use disk to install games, the only reason we thing Lenovo cut the Disk drive to make it lighter, they kinda went wrong because Disk is sort of important for atleast gaming laptops. No SSD- Most of the laptops nowadays have SSDs but this one does have it, SSD could have make this laptop work more faster, but don’t get me wrong this laptop is fast enough, I Think MSI cuts the price of the laptop by not providing SSD . Asus FX553- A overall Great gaming Laptop by Asus it quite good stylish look to it, it is Powered by 7th-generation Intel Core i7 processor with a discrete NVIDIA Pascal GeForce GTX 1050 graphics, so yes, we can say it’s a powerful device. This ASUS Laptop features a specially designed keyboard with red backlighting which look quite sturdy. It has ASUS Cooling Overboost means you can adjust fan speeds. It features an intelligent thermal design for maximum cooling efficiency to give the stability required for any working environment. It’s Audio is Powered by ICEPOWER which means it has a great configuration for its speakers to Rock, you can hear the best out of it. No SSD- Most of the laptops nowadays have SSDs but this one does have it, SSD could have make this laptop work more faster, but don’t get me wrong this laptop is fast enough, I Think ASUS cuts the price of the laptop by not providing SSD. Final words- If SSD is not concerned than for you its a good option as it is overall a Nice gaming Laptop. All laptops in this list are Recommended means all are good with their specs. We put options and varieties here only because of user Price Factors. This Article will be Updated whenever we find some new good Gaming Laptops.